I hope everyone has had a wonderful Thanksgiving, filled with love, laughter and good times with family and friends. This year we celebrated at our sons home and we had quite the feast! 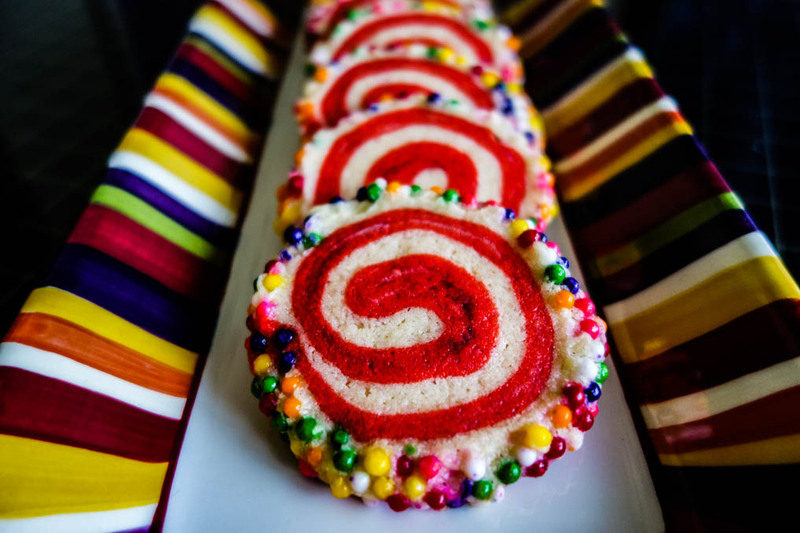 Don’t these Raspberry Pinwheel Cookies look like fun? They remind me of a merry-go-round, happy and whimsical. When I first spotted these on Sprinkles Bakes years ago, I couldn’t take my eyes off of them. I’ve seen them in Fine Cooking Magazine as a chocolate and vanilla swirl, plus on other blogs in various flavors and colors added into them. 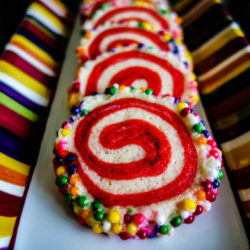 These Raspberry Pinwheel Cookies shout out “celebration.” I just knew I had to make them! I thought these colors would be perfect for the winter holidays, don’t you? 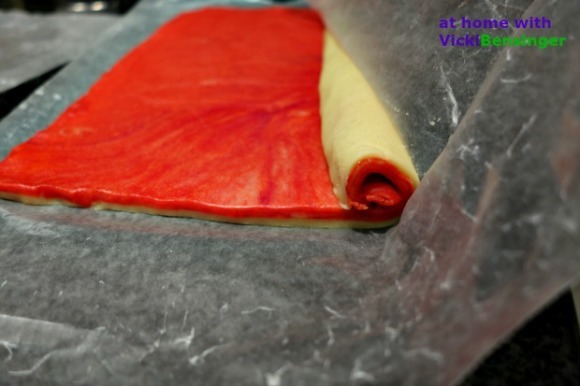 I hope you’ll try making these Raspberry Pinwheel Cookies. Be warned, they’ll disappear quickly! Eating these Raspberry Pinwheel Cookies brings out the kid in everyone. They're just plain fun to eat and taste fantastic! You won't want to miss them! Aren’t they fun? They’re also fun to create, not hard at all. I hope you’ll try them. 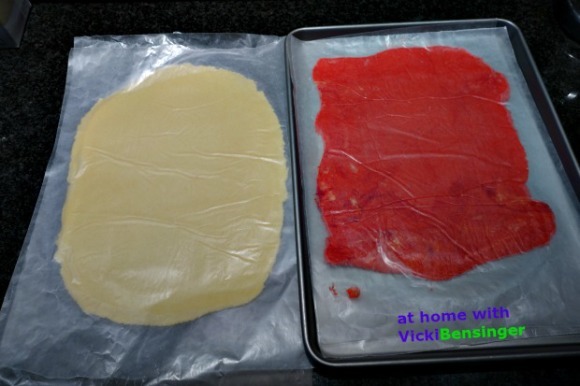 So pretty and festive, Vicki! I’ve already started my holiday baking and these would be such a beautiful addition!! People always ooh and ahh when they see these Raspberry Pinwheel Cookies. They somehow bring out the kid in everyone. They’re a breeze to create and so worth it. They’ll be the first batch of cookies to disappear from the table. Your so good Liz to have already started your cookie making for the holidays. I need to do the same. Hope your Thanksgiving was great! These are SO fun! What a way to get any party started.